Your team's character is epitomised by its defence. In this video I'll share with you my philosophy of defence and also introduce specific activities that I believe in and use to build and test defence systems, from set piece through to general play. Good luck! Your team’s character is epitomised by its defence. In this video I’ll share with you my philosophy of defence and also introduce specific activities that I believe in and use to build and test defence systems, from set piece through to general play. Good luck! Simple instruction and easy to understand. Thanks Graham. Great video which highlights the key points of a good defence. Would like a bit more explanation on the shape of the defence which would appear more of a v shape rather than a straight line. This is also a simple drill that can be expanded to focus on a number of key skills in a small sided game. NO puedo ver el vdo de defensa de Gragam Henry ! Aguardo solución . Saludos . Please, could you put the subtitles in Spanish? 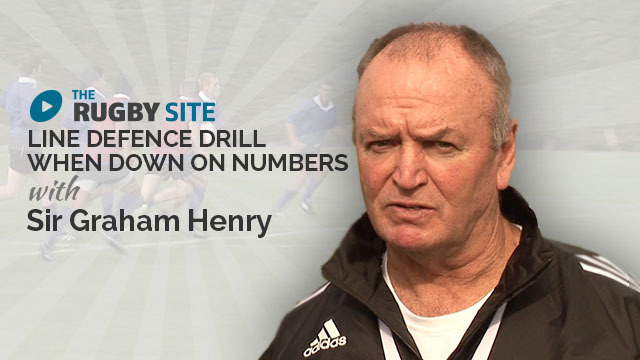 Great to see simplicity by boiling it down into practical drills and very useful take homes. Very helpful. Thanks to GH! Clear pathway to build a defensive system for your team. thank you for the Japanese subtitles. it becomes more easier to understand. Another master delivery, very clear. Excellent- straightforward, well explained and asks for ‘imagination’ input from coaches. Brilliant stuff! Basic and genius at the same time. Excellent video I have drummed in to my club side, line speed, line integrity, tackle technique and communication along with a good work rate and attitude. Defences win Championships and that is true as we have been crowned league champions with 2 games to spare, best defence in the league. 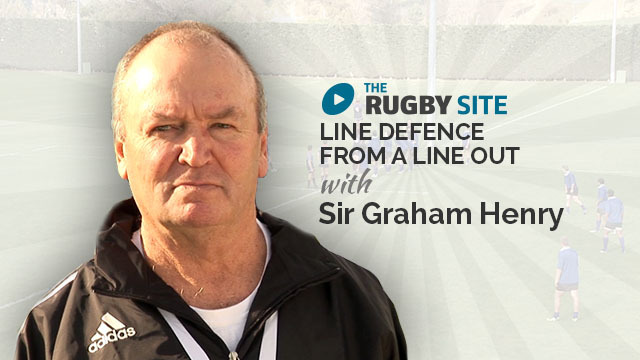 Thank you Sir Graham and Rugby Site. The attention to detail around Line speed, line integrity and communication is of vital importance in defense structures and applid systems. This video is extremely helpfull and informative, the naration nd visual display is simply excellent. One ward AMAZING! I don’t know where to start to explain how helpful this video is to my team as a coach and as a player. Everything makes so much sense and easy to apply in the game. As a coach you will learn what to do and as a player these drills will help you to be better and use it as. Your advantage. Look forward to putting this into our training sessions. Cheers GH. It’s the same as Post / Pillar or Guard / Body Guard, who protect the fringes, and the Lead who takes the obvious first receiver. I’ve found it easier to just call them A, B, and C. A pressures ball, B assists A or checks inside ball from first receiver, C covers first receiver. The “inside” as mentioned at the clinic deals with the fact that practically every international team can put more width between 9 and 10 than most of us school / amateur coaches see, and have at least one, if not multiple runners, capable of attacking the space between them. Great drills in this, and I like that the line isn’t totally ‘flat’ with the slight ‘v’ shape allowing the outside defenders to see what’s going on inside them and not over-running their team mates (allowing inside attackers to slip behind them). Also easier to cover line breaks and kicks as such. Hey Cam, the way I interpreted it RAIL was an advancement made on the system shown here. Graham said in Toronto that for the longest time his All Black team used RAL, but they only brought along the ‘I’ in RAIL in the last short while. I think the 1,2, or RAL is used here as really the RAIL system was created to cater specifically to his NZ side and their opposition. That is to say, RAL would be easier for a coach to implement for a school/club side. Hope I’m close to being right. 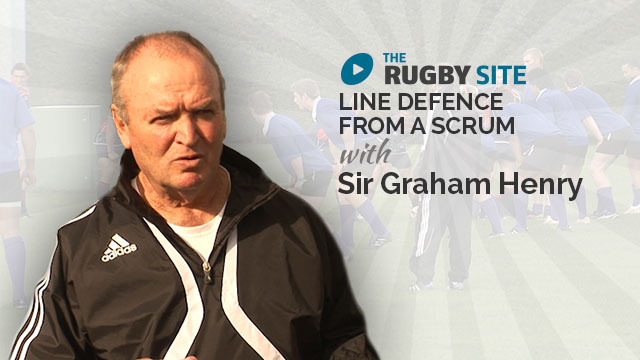 At a recent clinic Sir Graham put on in Canada the defensive set up he discussed was RAIL (Rock, Action, Inside, Leader) rather than 1, 2, Lead. Is RAIL a simply an exention to this video? Excellent video. 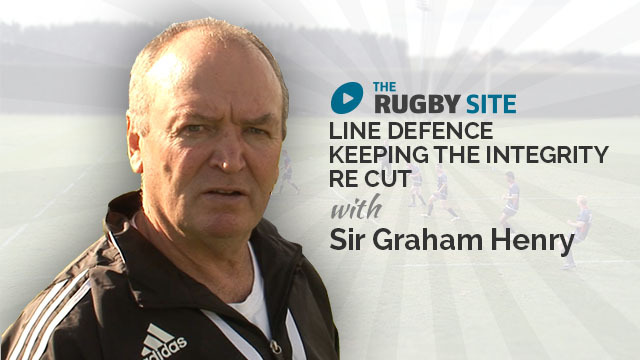 I really appreciated the “chalk talk” as well as the little touch of when Graham Henry addressed the viewer directly. It made it seem more interactive than simply watching a video. Good vid. PDF should include info on the defensive structure for the various scenarious mentioned. Positives: real time sessions; loads of good tips that look at the whole rugby player and coaching ethos; and progressive game-based drills. The PDF accompaniments are a must!